Have you ever found an edge I’ve discussed on the blog to be helpful, but wished you could be notified to next time it set up? 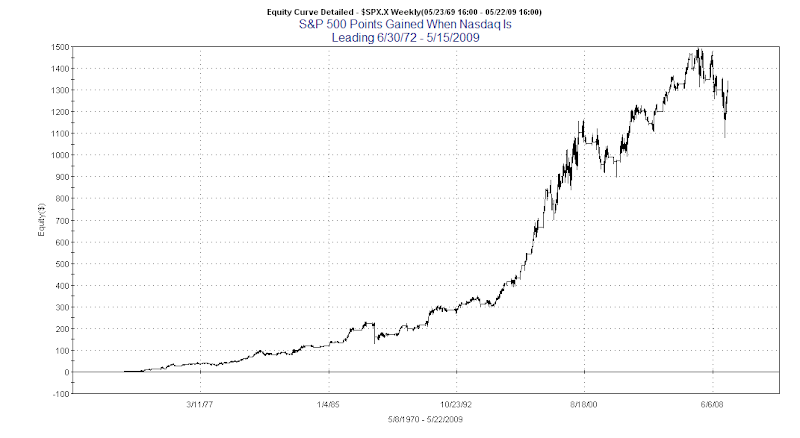 For example on February 25, 2008 I showed how the S&P has performed following 2 consecutive days where it has risen 0.75% or more. 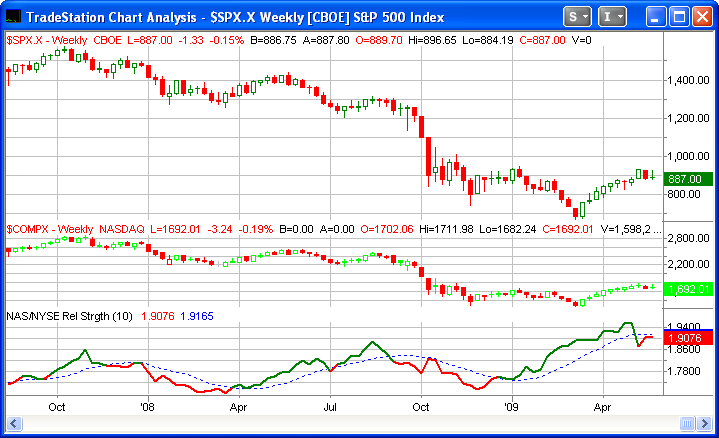 The results were quite bearish over the next 1-10 days. Most traders may have seen that and factored it in to their thinking at the time and then forgotten about it. Those who instead incorporated it into their bag of tricks benefitted greatly. On March 27, 2009 I did another post which updated the results of the 1st study. It also showed how the setup had performed since 2008 study was published. Being aware of when the setup is occurring can benefit traders in numerous ways. You could use it to enter short positions, or exit longs, or tighten stops, or adjust position sizes, or whatever suits your trading style. The problem has been that tracking so many edges can be an arduous task. Not anymore. Now being aware of Quantifiable Edges studies is as easy as pulling up a web page. It’s Quantifiable Edges quantum leap in quantitative research…the Quantifinder! The Quantifinder is designed to automatically search through Quantifiable Edges database of published research and extract anything that is applicable to the current day's market action. This includes studies based on price, breadth, volume, leadership, and sector rotation. It looks at both daily and weekly data across a wide range of indices. All applicable studies are then published on the Quantifinder page, where you can easily see their bullish/bearish tendencies and a description of the research. From there it is just a click on the study and the publication (blog, Subscriber Letter, or Weekly Research Letter) is automatically pulled up. This allows you to read what I've written about similar setups in the past. A screenshot of the Quantifinder is below. Detailed information on the Quantifinder can be found here. There are 2 versions of the Quantifinder. The intraday version notifies Gold subscribers of potential edges as the market close is approaching. Then the end-of-day version shows what studies actually did trigger. If you’d like to trial Quantifiable Edges and the new Quantifinder, then you may sign up for a free 1-week trial here. So perhaps you’re wondering why I used the above study as an example? You’ll notice the Quantifinder is showing it has now set up again as of Friday’s close - “Blog 3/27/09” showing up in red (meaning bearish). Looks like the market is poised to gap lower by over 1% this morning. Having already been down two days in a row, risk/reward typically favors the long side from open to close in these situations. It's something I examined recently here. And any time there's a large gap about to happen you can always review the gap-related studies by simply using the "Gaps" label on the right hand side of the blog. The market dropped hard on Wednesday for the 2nd time in the last 3 days. Two hard selloffs in three days is something I looked at in July of last year. Below is an updated table of that same study. The results seem to suggest the market is getting a bit overdone and could be ready for a bounce. While there have been a fair amount of occurences in the last 10 months, the results have stayed fairly consistent. This test suggests the setup has somewhat bearish implications. There are a few things to note here that aren’t evident in the above table. First, 24 of 29 instances (86%) saw the SPY close below its trigger day close at some point in the next 4 days. This is quite a high number. Interestingly, the last 2 times it has occurred, 4/7/09 and 5/5/09, it has led to swift rises and there was no lower close. That speaks to the power of the recent up move from the March lows. Below is an equity chart from Tradestaion that shows the results using a simple 5-day holding period. You can see the sharp spike that occurred with the last 2 instances. I’m seeing some breadth measures again hitting all-time extremes. 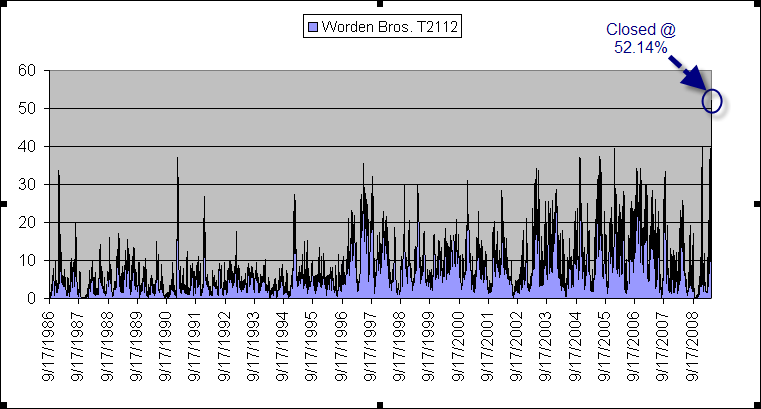 Worden Bros. measures the % of stocks trading at least 1 and 2 standard deviations above their 40-day moving average. 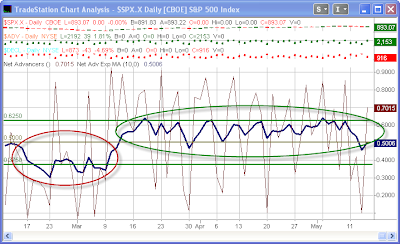 I mentioned the 1-standard deviation indicator (T2110) in the blog a couple of weeks ago. At the time it was hitting an all-time high of nearly 81%. Tonight it broke that record registering over 83%. The number of stocks closing 2-standard deviations above their 40-day ma (T2112) also hit a new extreme Monday - and in a big way. Before Monday this indicator had never reached 40%. Monday it spiked up to 52.14%. A chart with the complete history is below. 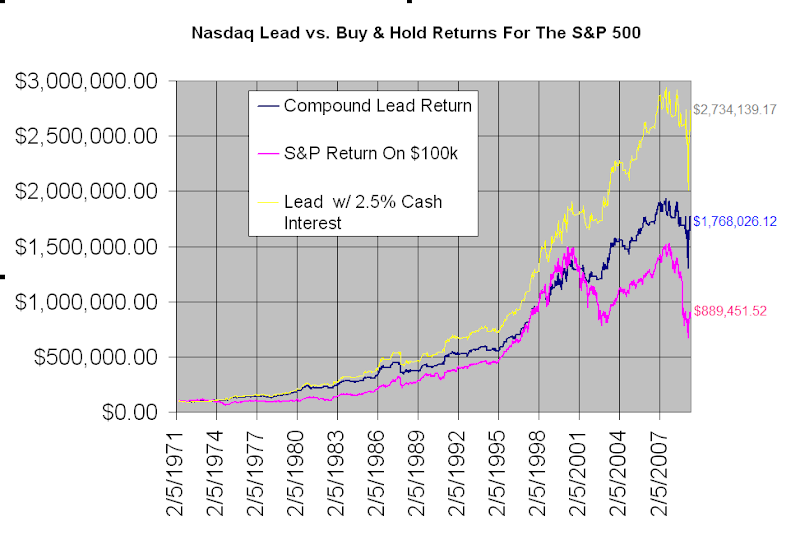 This suggests the market is incredibly overbought. As I went over a couple of weeks ago, this doesn’t necessarily mean we’ll see a sharp selloff. At such incredible levels, though I’d certainly be careful taking long positions. These overbought levels will be worked off at some point. A selloff is one way to accomplish that.